42 Classic Old School Sesame Street Videos You Can Watch & Enjoy Online For Free! If you’re like me, you grew up on PBS and probably tuned into Sesame Street almost every day. And, if you’re my age (I was born in 1981), you may even remember a time when Big Bird, Bert, Ernie, Snuffy, Grover, Count von Count, Telly, and Cookie Monster were all bigger stars than Elmo. I may no longer be a kid, but I have no problem admitting that I enjoy watching some old school Sesame Street videos every now and then to remind me of the good old days. For those of you who may not know, Sesame Street debuted in 1969 and continues to its run on PBS to this day. However, the program, the brainchild of Jim Henson, has changed much since it debuted the same year as the original Woodstock concert and the first men on the Moon. Let’s take a trip back to the good old days of the late 1960s, 1970s, and 1980s and relive some favorite moments with old school Sesame Street videos. I bet you’re already humming tunes like “Rubber Duckie” and “I Love Trash” already, aren’t you? Speaking of rubber duckies, remember when Ernie sang that memorable tune about his? This 1970 classic hails from Sesame Street’s earliest days. When Big Bird first flew onto the scene in 1969, he thought the alphabet — all spelled out — was one long word. And he sang about it. 15 years later, a clip starring Big Bird and 2 young friends reminisces about the time the lovable yellow canary first saw the alphabet. Here’s the 1984 version of the famous song that has probably already crawled into your brain. Remember the funky cartoon shorts that took you inside a psychedelic pinball machine? The accompanying songs never left my head, and I’m sure you’ll remember them, too. These old school Sesame Street pinball cartoons were originally made in 1976 but aired for many years after. Fun Fact: The Pointer Sisters sang the vocals in the various installments of the Pinball Song, which count from 2 through 12. If you watched Sesame Street anytime during the 1980s, then you will likely remember this colorful, trippy clip showing the geometry of circles, replete with haunting music from the likes of Philip Glass. This 1979 classic will ensure you never look at a circle the same way again. Sesame Street started the tradition of memorable catchy cartoon clips early on, as this 1969 counting segment proves. Danny Zeitlin is heard on piano and clavinet and Jefferson Airplane’s Grace Slick provided the vocals. The sound effects in this late 1970s video will probably bring back memories of your old Atari games, and the singing orange will remind you of the days before computer graphics completely took over the animation industry. A simple clay animation, stop-action short with a mighty big message: Don’t give up! This short ran often in the 1980s, but its endearing nature and theme are timeless. Break out your platform shoes. 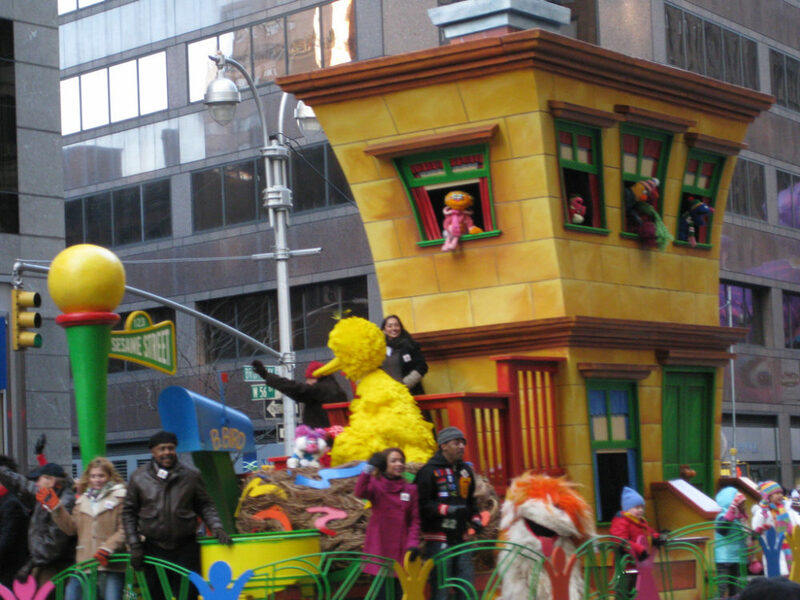 It’s time to boogie with Snuffy and Big Bird! Sesame Street was riding the disco train into 1981 with this funky classic starring a pint-sized starlet who just wants to be getting jiggy with it. Sinister Sam rolled into town in 1978. He wanted to know who bought the last box of crayons… and he wanted to know “Y”! In the 1970s and 1980s, America’s favorite game show hosts may have been Gene Rayburn or Bob Barker, but on Sesame Street, Guy Smiley was the king of daytime. In this clip we even learn what Guy Smiley’s real name is! This happy piece shows Linda Ronstadt singing with Elmo and the Muppet Mariachi band. This clip first aired around 1987 and was undoubtedly a first introduction to Spanish and Latin music for many young children back in the day. Gladys the Cow masqueraded as many different animals over the years, but in this 1981 video she declared her pride for what she really is — a cow! I remember something about the art in this circa 1971 cartoon used to creep me out when I was a kid. But now looking back at these old Sesame Street videos, I can admire this piece for its simplicity and the message that it sends – treat your animals with respect! Speaking of cats, chances are you’ll remember this late-1980s Sesame Street cartoon about a hungry cat and her super social mommy, who is obviously way too busy planning a bridge party to notice her feline’s hunger pains. Ernie wants to learn how to play the saxophone from jazzy owl Hoots, but there’s one problem — Ernie won’t put down his rubber duckie so he can play his sax! This 1987 Sesame Street video is loaded with cameos from many of the big stars of the late 1980s, including Danny DeVito, Rhea Perlman, Barbara Walters, Paul Simon, and Phil Donahue among others. One of Jim Henson’s first earworms was “Mahna Mahna,” which appeared on The Muppet Show (which aired from 1976 through 1981) and also was played as a Muppet skit on the Ed Sullivan show. This version first appeared on Sesame Street in 1969 and played for many years. #21 – What’s Inside Herry? Kermit teaches kids about anatomy in this Sesame Street video from 1986, using a special X-ray to show different parts of Herry’s internal anatomy. Kermit teaches kids about digestion, breathing, and how the heart works. But Herry is interested in just one thing – his muscles! “Wow, look at that definition!” Herry proudly proclaims upon seeing his muscular interior. Actor Jim Thurman voices the snake who tries to teach kids about the parts of their body… to little avail, as you might imagine! The deadpan delivery in this 1989 classic really “takes the cake”! You really can’t tell a hero by his size, as Teeny Little Super Guy shows. In these witty Sesame Street videos, Jim Thurman voiced Teeny, who is even teenier than usual in this clip that shows the early boyhood years of our cupboard-dwelling friend. This video shows the fast-motion construction of a house. This piece was especially compelling to me when I was a little kid because I loved anything construction related, and I even lived in a house that looked somewhat in style like the home in this clip. I’m sure you’ll remember this old school Sesame Street video, too! This funny film features fancy alliteration… and a troupe of high-flying fleas and ringmaster who teach kids about the letter “F.” Classic Sesame Street cartoonage at its “F”inest. Take a trip inside the Crayola crayon factory and watch how an orange crayon goes from waxy liquid to a childhood favorite coloring tool. Really, aren’t old school Sesame Street videos just as fun to watch today as they were decades ago? If you watched Sesame Street in the late 1970s and early 1980s, then you definitely saw this classic. “B” is for Bubble may become your new earworm for the day. I hope it’s a crisp fall day when you’re watching this, because this will make you want to chug down some warm apple cider! This group of children show how to make this classically autumnal drink and even tell you how many gallons of apple cider come from 10 boxes of apples. Emilio Delgado, who plays Luis on Sesame Street, sings while a colorful mime who clearly echos Charlie Chaplin demonstrates to children what arrows mean. This classic piece ran throughout the 1980s and is as cheerful to me today as it seemed all those years ago. This awe-striking video shows 3 dolphins performing at what appears to be SeaWorld San Diego around 1980. The peaceful, dreamy music from composer Joe Raposo is perfect for this video which opens with Elmo gazing into the eyes of his goldfish. If you’re like me, you probably actually tried to do this when you were a kid after watching this clip. “Heeeeeeeere, fishy, fishy, fishyyyyyy!” I was tempted to call for fishes in a similar fashion during my last fishing trip when I had terrible luck catching fish on a large charter boat. Hey, I wasn’t afraid of looking silly, I just didn’t want to scare away the fish. Who can forget the bumbling adventures of Super Grover? This is what appears to be the first installment of Super Grover from 1973, during which “SUUUUPer” Grover tries to help a young girl move heavy boxes. The Cookie Monster introduces his state-of-the-art cookie counter to Ernie, who seems to become the victim of a cookie theft in this Sesame Street video. This 1980 Sesame Street video pairs Telly Monster and world-famous violinist Itzhak Perlman as they play Beethoven’s Minuet in G.
There were few Sesame Street videos more mesmerizing to me when I was a child than this one. Watch as a little red ball winds its way around a crazy metal track. There were 2 versions of the red ball roller coaster video. The first one, in 1970, ended with the ball being ground into powder. This version, from 1974, ends with the ball turning into cherries, plopped on the top of yummy-looking ice cream sundaes. Fun Fact: The little girl at the end of the video is Jim Henson’s daughter Heather. There were several Monsterpiece Theater episodes on Sesame Street over the years. This one from 1989 spoofs the “Taming of the Shrew,” by William Shakespeare. Back when MTV still played music videos, so did Sesame Street. This 1985 music video features the Oinker Sisters. A spoof of Olivia Newton-John’s 1981 #1 hit “Physical.” Grover, Betty Lou, and friends perfectly capture the headband, leg-warmer side of the 1980s in this catchy Sesame Street video. Bob McGrath stars in this 1977 rendition of “People in your Neighborhood,” complete with a gaggle of funny puns and wordplay. In the 1980s, these bridge keeper clips had kids looking for different shapes — and made me wonder why the toll operators didn’t ask my parents to do the same when we took the expressway. Ever wonder how lonely you’d be if you lived on the moon? Ernie did in this 1978 clip that I always felt was one of the saddest short Sesame Street videos that ever existed. This rundown of old school Sesame Street videos would not be complete without a nod to Mr. Hooper (played by Will Lee). Perhaps you didn’t know that Oscar the Grouch was originally orange during the first season of Sesame Street, and you’ll even get to see the original Big Bird.